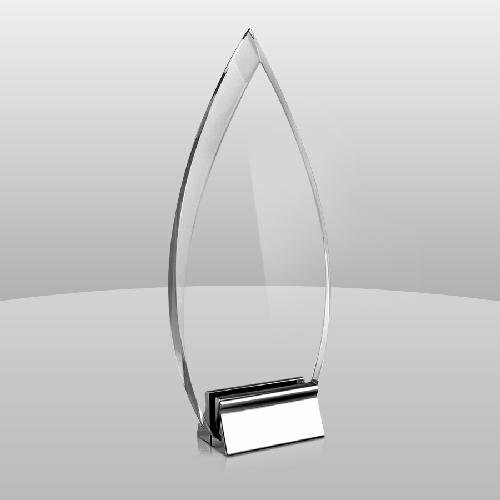 The Kindle Award is part of our Modern Section and is one of our newer, more cost effective pieces. 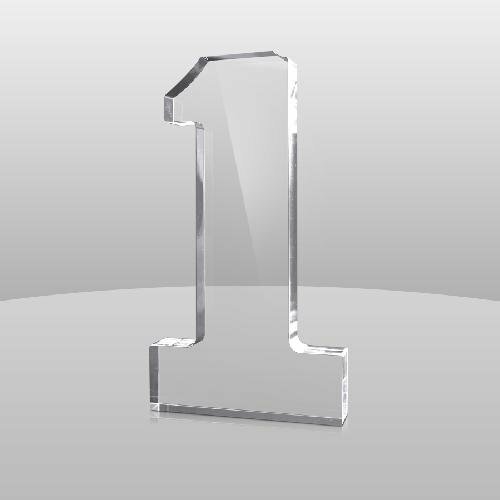 The Kindle Award is faceted acrylic to mimic a flame shape. The piece is attached to a chrome metal base and is available in 3 sizes and 2 colors. Perfect for any recognition or award ceremony, including sports, corporate or educational applications. Production lead time for this award is 1 day. This award has a minimum order quantity of 3. Production lead time for this award is 11 days. This large freestanding acrylic One is part of our Clocks & Gifts Collection. This item can be engraved, color-filled, or adapt color printed. Production lead time for this product is 1 day. This product has a minimum order quantity of 3. 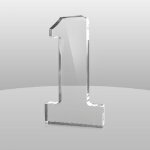 11" x 6" x 1-1/4"
This clear glass star is 3/8” thick and has ample room for personalization. 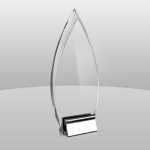 Attached to a black glass base, and packaged in a satin lined gift box, this elegant free standing award is perfect for the star performers in your school, business or organization.